How do we know what's in space? Many of the bodies in space give off electromagnetic radiation. Things in space which release or reflect light, like stars or planets, can be seen either with the naked eye or with telescopes. By looking at that light, scientists can either directly tell where objects in space are, or at least can make deductions about their locations. Other bodies in space are too far away to be seen or are behind something that stops light. 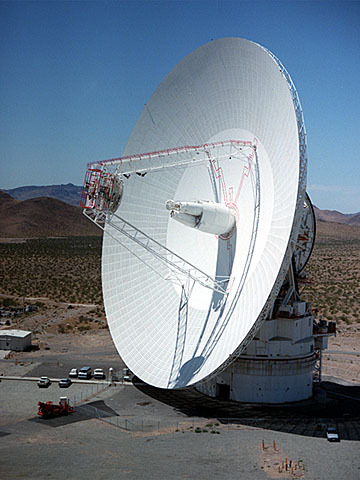 We can still find these objects because they give off radio waves that can be detected with radiotelescopes such as those in the deep space network (DSN). Not only do stars, nebulae and other extra terrestrial objects release radio waves, we hope that there is life in the cosmos using radio waves as well. The SETI (Search for Extraterrestrial Intelligence) project is specifically designed to try to detect radio, television, or other electromagnetic communications by intelligent aliens. There are many other things in space that are not emitting electromagnetic waves. Scientists must use deductive logic to detect them. For example, astronomers now believe that they have detected planets around other stars.. Although we have never "seen" these planets, there are wobbles in the the movement of their stars that could have been made by the gravity of planets pulling on them. 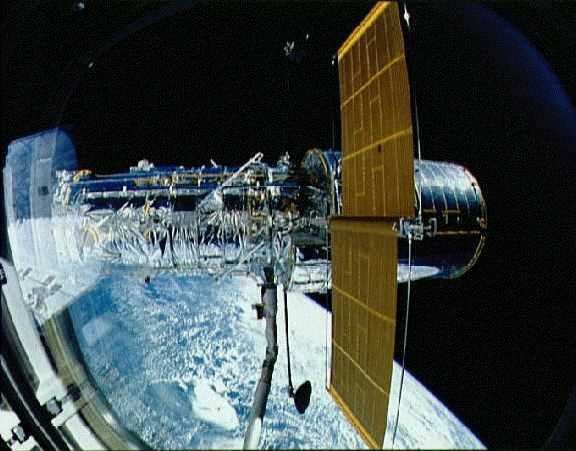 Even though observations made by telescopes tell us a lot both directly and indirectly about the universe, there are questions that can only be answered by sending ships like Deep Space 1 into space and making direct up-close observations. Sometimes those ships make accidental discoveries. Solar wind was detected once we started putting ships in space and found a slight push on them made by charged particles. Scientists are still discovering everything that is in space and still finding new ways of learning more about the cosmos. The list of ways we know about bodies in space will grow and grow over time. What is in space besides planets and stars? How does DS1 take pictures? What will DS1 do on its mission? Why don't we receive light from all the stars in the universe? Where does energy come from and go?